Wilfred Ndidi has committed his future to Leicester by signing a six-year contract, the club have announced. 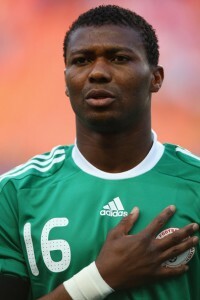 The 21-year-old Nigeria midfielder’s new deal will keep him at the King Power Stadium until the summer of 2024. Speaking after putting pen to paper, Ndidi said: ‘I’m very happy to sign this contract with Leicester. I have enjoyed every moment of my time with the football club, so I’m thrilled to be here for six more years. Ndidi has made 63 appearances for the Foxes since his arrival from Genk in a £15million deal in January 2017.